Bound through time to protect the key to magic, Nic and Cass discover that true power lies in the magic of love. 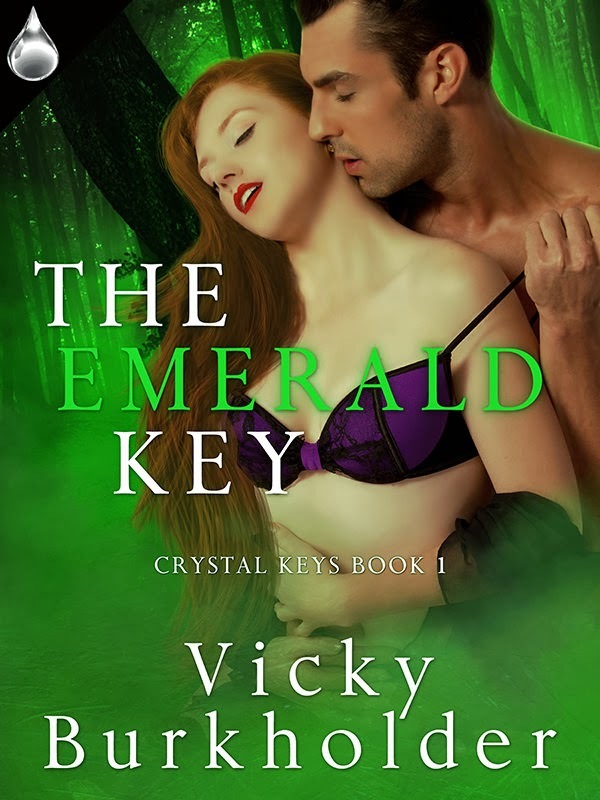 Vicky Burkholder weaves an enticing tale of passion and suspense in The Emerald Key, book one of her exciting new series, Crystal Keys. “Send me back. I have to save her.” Nicodemus’ boots clicked on the dark tile in the small room. Three women watched him pace from where they were seated on their stools in front of a large backlit loom. No other light shone in the room. Though his voice did not echo, he could see neither walls nor ceiling, only the three women and their work. He’d been here before and each time, felt both closed in, and open to the universe. “I must return,” he insisted. “Which is why you live,” the first said. “We do not know,” the three said together. “But…” A blinding flash and deafening thunder tore the words from his throat, and he knew no more.